b. Always keep your wallet packed with money because it is a symbol of abundance. Avoid empty wallet. c. Do not place junk, like sweet wrapper, old name card, expired membership card of any in your wallet. In summary, just get rid of anything that you do not use and only put those essential items. You must treat your wallet well before they treat you well too. Allocate a special location in your house for your wallet and place it there everything you are back home, so that they will feel treasured. Once you learn to appreciate them, it will tend to attract more money onto your life. Avoid tossing your wallet away on the dining table or anywhere that you find it convenient. Do not place your wallet on the floor, especially on toilet floor. Each colour represent different elements and meaning. Here are the colours chart for your reference. Black Water Black is the most common and popluar color and you got it right! Black represent wealth and prosperity. If you are looking for advancement in career or soar in your business, black is the color to go for. Blue Water Blue symbolize money will be drained just like water (attract splurging) and it is hard to accumulate wealth, so the colour is not recommended. Red Fire Red represent fire and it is not advisable for wallet colour because it will burn away your wealth luck. Brown Earth If you want to increase savings or has the habit of spending too much money, this color may help you to save money. Pink Fire This colour is more suitable for ladies who are looking for the other half as it increase love and relationship luck. If you are looking for increasing wealth, do not use this colour Green Wood Green represents growth and life. In home Feng Shui, you will add green plant to help increase the positive flow of energy in your space, a green wallet will help to increase income opportunity. It is especially suitable for entrepreneurs to welcome business idea and opportunities. 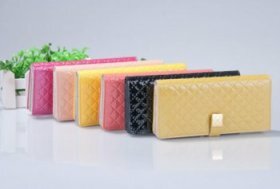 Yellow Metal Normal light yellow color wallet may often attract money, but it will be often in and out. Money flows well but spending a lot of money as well. To resolve the above situation, you might consider mustard yellow or pastel yellow for wallet/purse. If you want to save money, choose mustard yellow and if you someone who want to increase wealth luck you can choose pastel yellow instead. Do not use a wallet that was used before because the previous owner’s energy has been in the wallet and it might influence you if you start using it. You will never know if it is good luck or bad one, so just get a brand new one instead. You can tell if a person has money or not by simply looking at the way a person placed their money into their wallets. For those who respect and appreciate the money, they had all their notes and coins neatly sorted. As for those who were broke or always lack of money will have disorganized and messy wallets. Be sure to arrange your notes in an upright position before placing them into your wallet because it has a huge influence over the energetic relationship between you, your wallet and money. Avoid choosing irregular wallet/purse shape. It is best to have long and straight type that you do not have to fold the notes in order to put it in. It helps to enhance wealth luck. 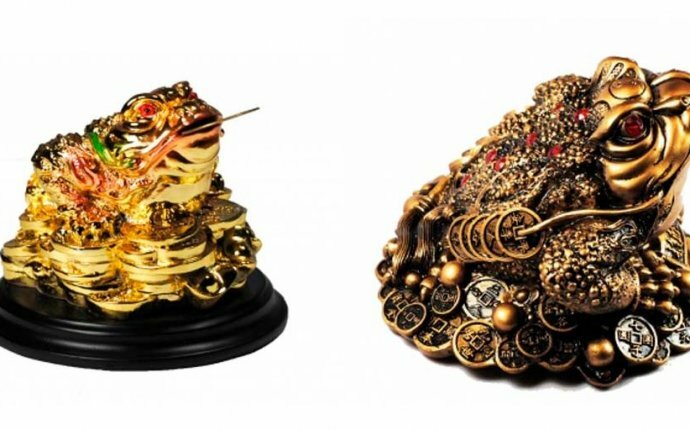 Using these Feng Shui principles, we will like to wish you a prosperity year ahead and Huat (發) all year long.